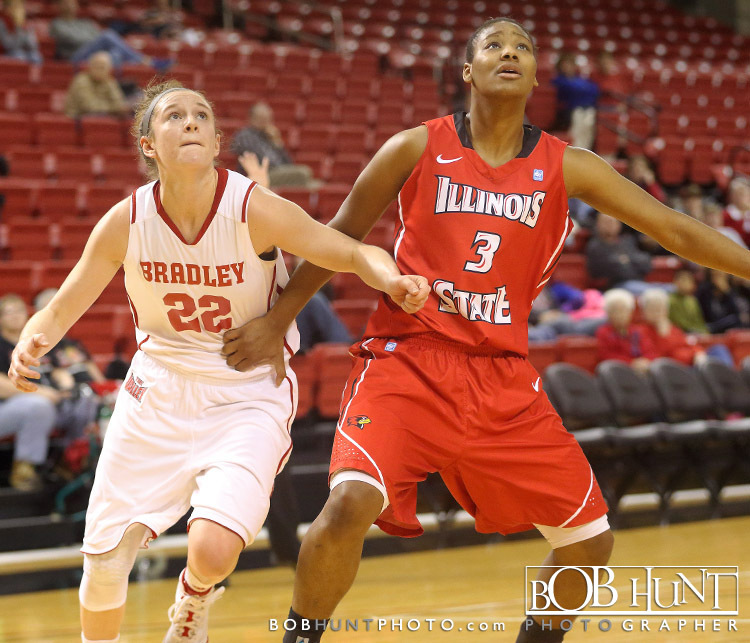 Bradley turned in one of its best defensive efforts of the season and came up with a pair of stops in the closing seconds of the contest to hold off I-74 rival Illinois State 64-62 Sunday afternoon at Renaissance Coliseum. 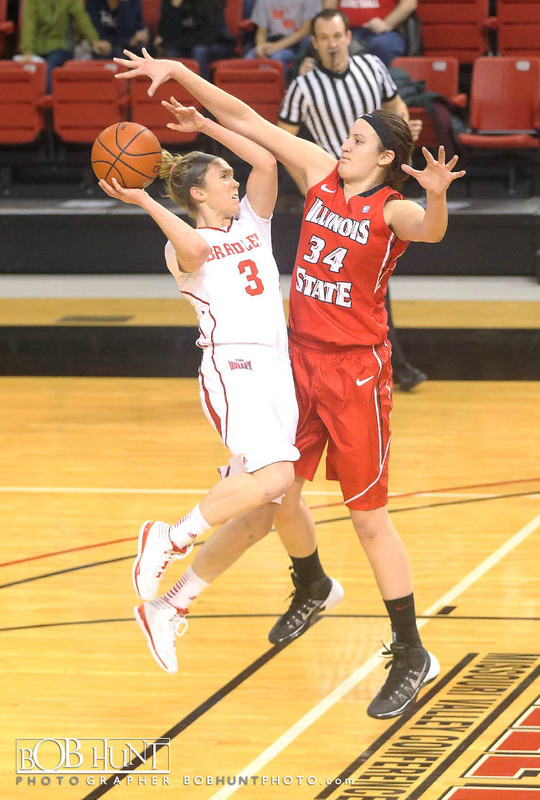 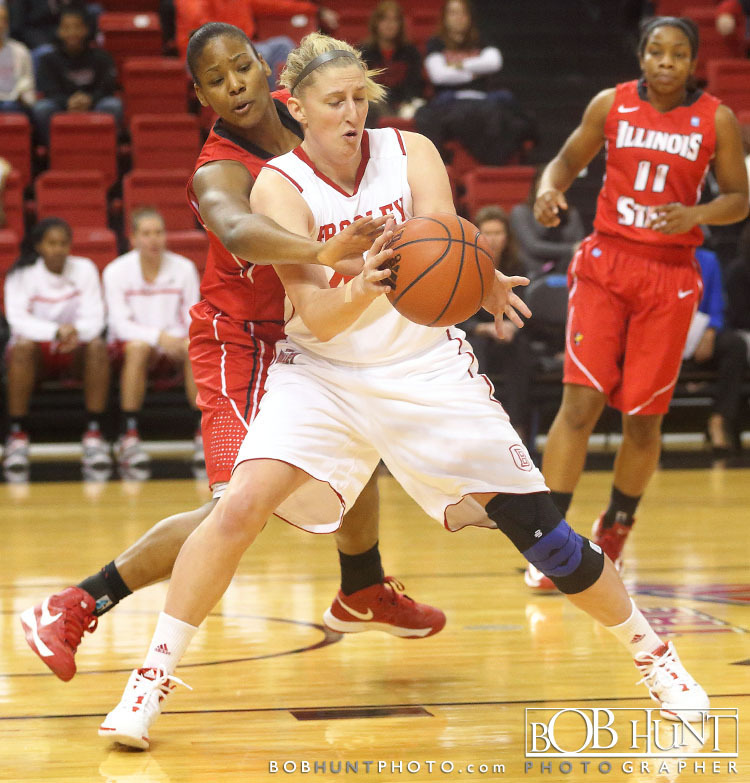 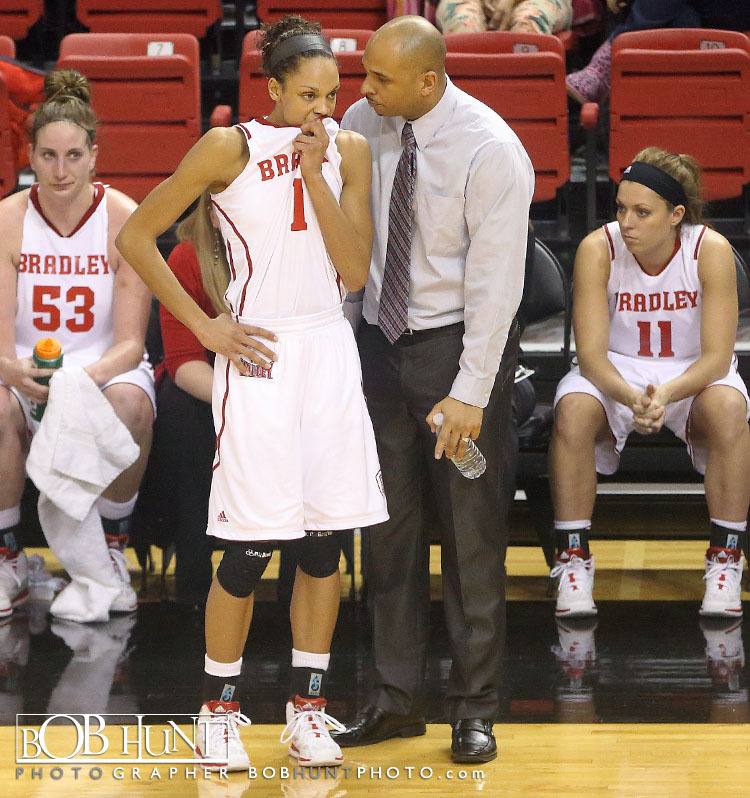 The 62 points scored by the Redbirds were a season low for a Bradley opponent this year. 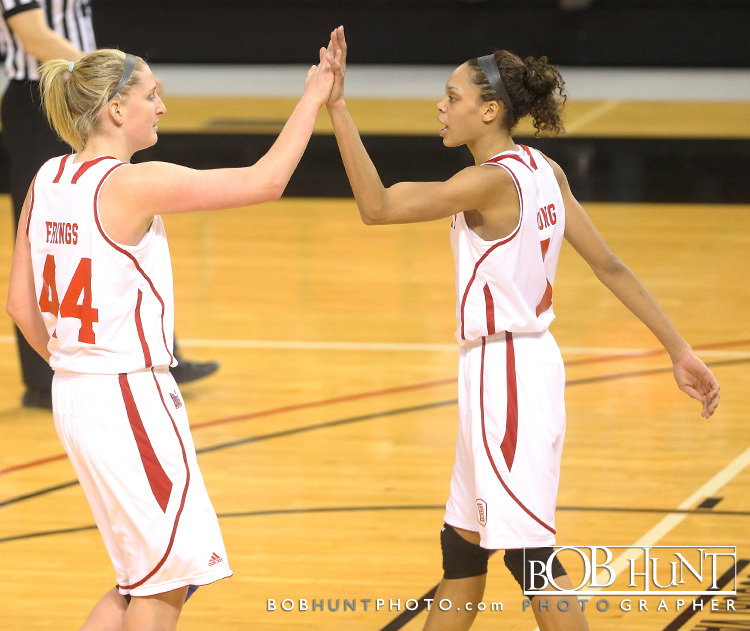 The game was tight throughout with neither team leading by more than six points and the contest featured 12 ties and 11 lead changes. 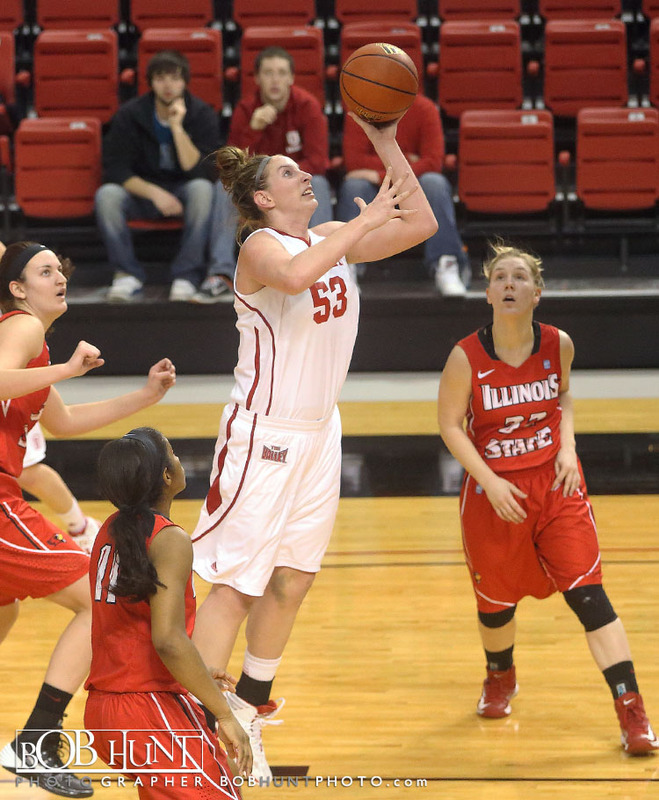 Senior Kelsey Budd hit a floater in the lane at the six-minute mark and made a pair of free throws after coming up with a steal to give Bradley (5-15 overall, 2-7 MVC) a 59-54 advantage with just over five minutes to play. 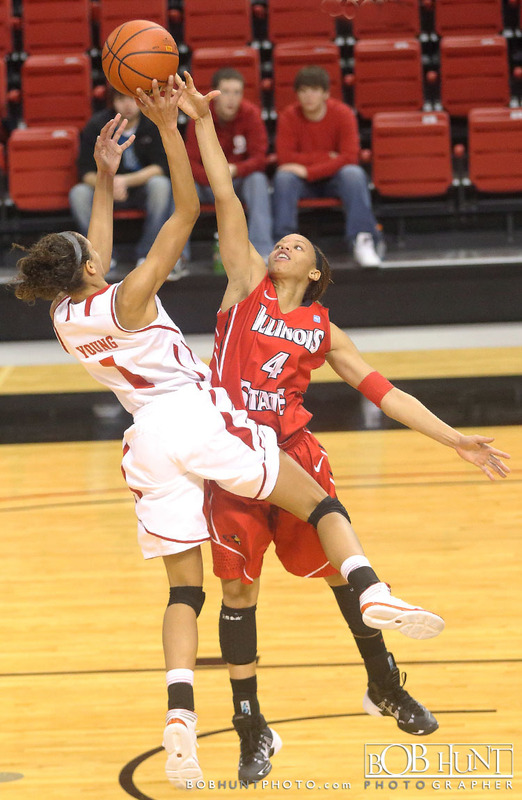 Budd’s basket with six minutes left proved to be the final field goal of the game for the Braves, however, and Illinois State (5-14 overall, 4-5 MVC) chipped away at the BU lead to eventually pull even at 60-60 with 1:51 to play. 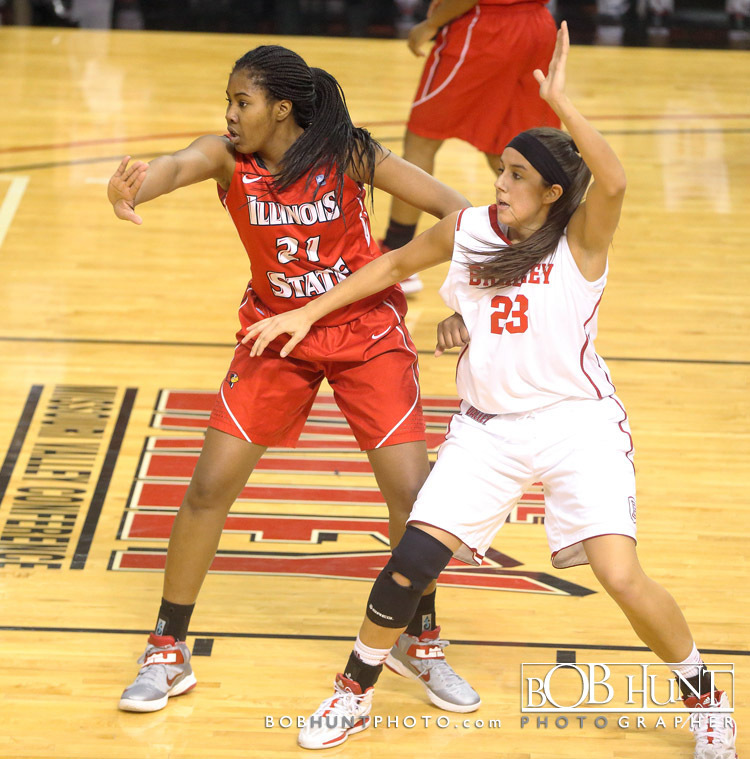 Senior Alyson Spinas-Valainis made a pair of free throws with 1:38 left to give Bradley a 62-60 advantage, but a Bradley foul on the next trip down the floor allowed the Redbirds to knot the score at 62-62 on a pair of Lindsay Smith free throws. 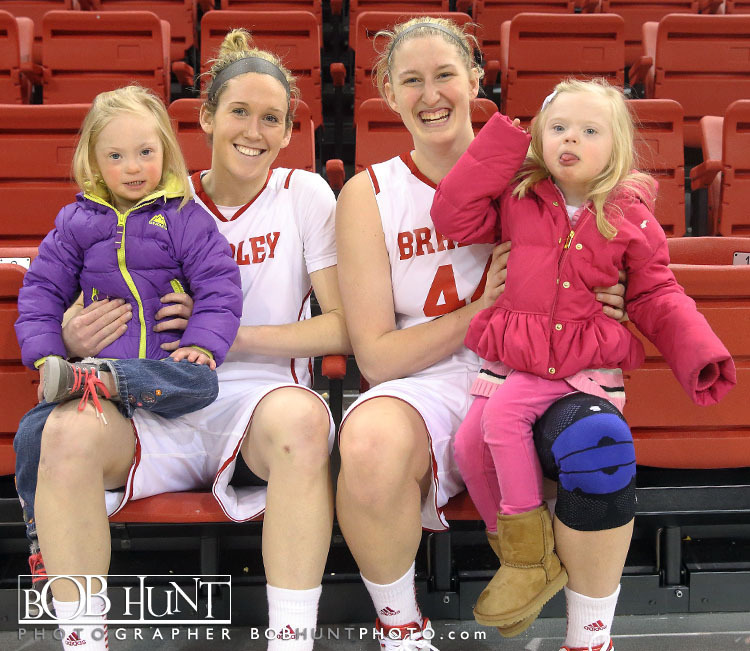 Senior Catie O’Leary was fouled with 44.4 seconds left and split a pair of free throws to put the Braves ahead 63-62. 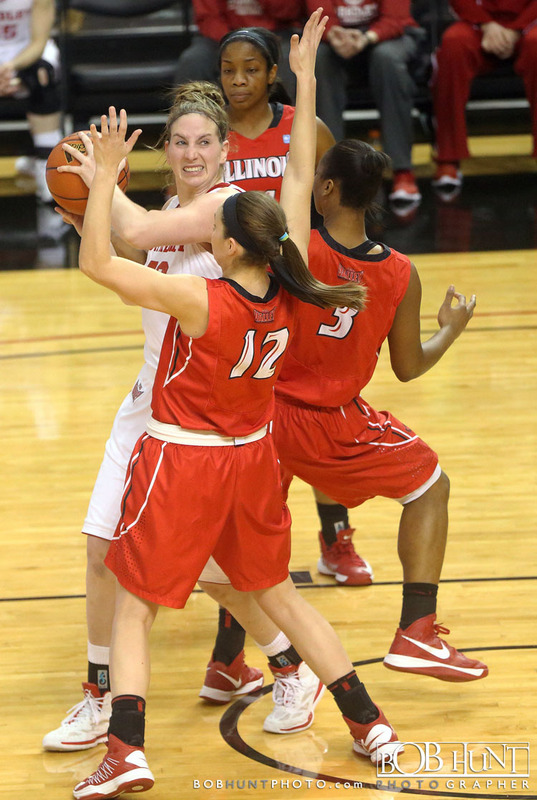 Spinas-Valainis came up with a block on the next Illinois State possession, but a BU turnover with 10 seconds to play gave the Redbirds one more chance. 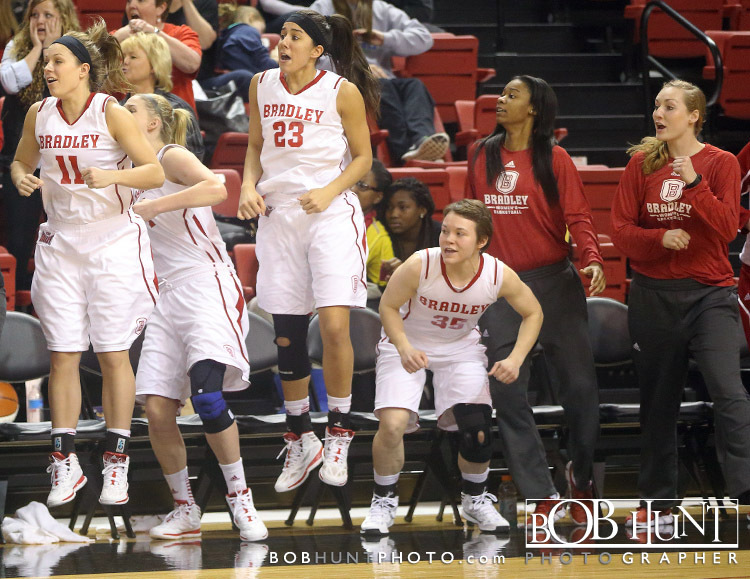 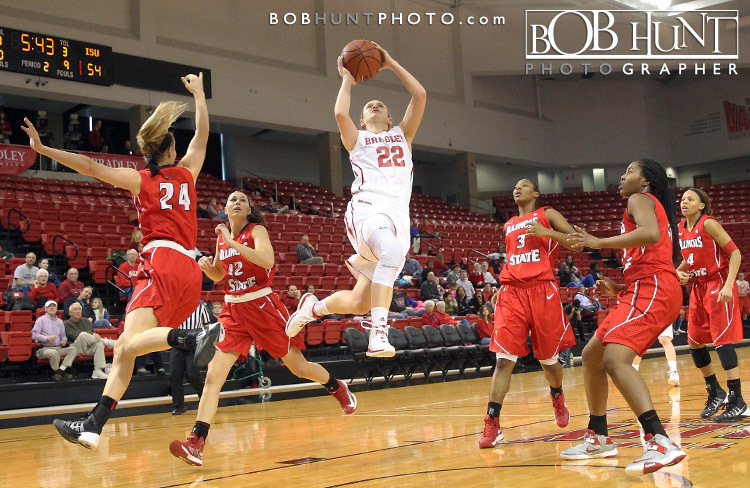 Bradley opens the second half of the Missouri Valley Conference schedule with a 7 p.m. game at Wichita State Friday.